Molecular Gastronomists Kitchen Theory are back for autumn and winter 2015 with a pop-up restaurant called México at Maida Hill Place in W9. 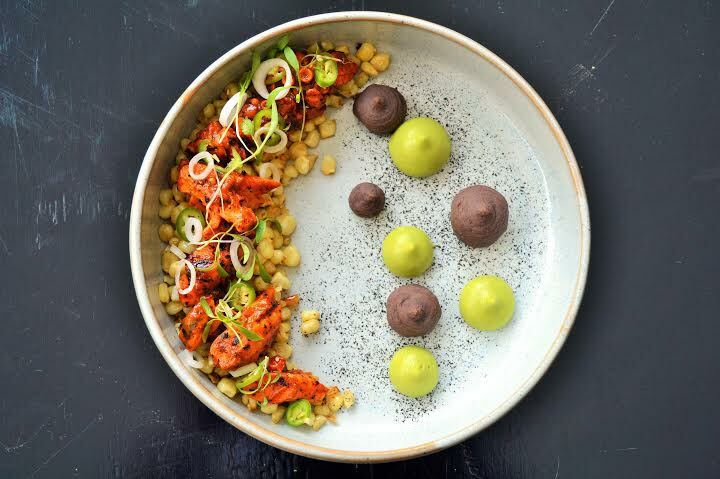 Serving alternate weeks from Thursday - Saturday, they'll be doing a 7 course dinner at £65 a head and a 3 course weekend lunch at £32 a head - and they promise a refined modernist interpretation of Mexican ingredients and gastronomy. Foodie heaven! "If like most people in the UK you think chilli con carne, nachos and burritos are Mexican foods and that all Mexican dishes are overly spiced, full of meat and fiery hot, then you really don’t know a thing about Mexican cuisine. For autumn 2015 Gastro-neophiles Kitchen Theory is looking towards Mexico for inspiration. With its vibrant flavours, unique produce and up-and-coming innovative culinary scene, Mexican cuisine is one of the world’s most sophisticated cuisines in existence, earning it a UNESCO designation of Intangible Cultural Heritage of Humanity, along with only a handful of other world cuisines including French and Japanese. Kitchen Theory want to dispel the myths that Mexican food is all based on meat dishes and burning hot chillies – which it most certainly is not. So don’t expect fiery hot chili loaded nacho/enchilada/burrito style dishes. What Kitchen Theory have in store for their guests is a refined modernist interpretation of Mexican ingredients and gastronomy! Expect to see NO sombreros, NO maracas! It just doesn’t seem right to talk about Mexican cuisine without mentioning insects, a culinary delicacy in this part of the world since ancient times. A 2013 report by the UN Food and Agriculture Organization found that eating insects could be a more sustainable food option that would help boost nutrition and reduce pollution, globally! Kitchen Theory is in support of the movement and may explore insects to enhance one or two dishes; not in their natural form but in a way they hope will appeal to you."